Keeper offers a variety of bungee style cargo nets. Choose from the Truck Bed Cargo Zip Net and ATV Nets. All nets are made of the same great premium tie down cord that hold loads tightly and securely. Stretch cord is fashioned to form a net to secure bulky cargo. 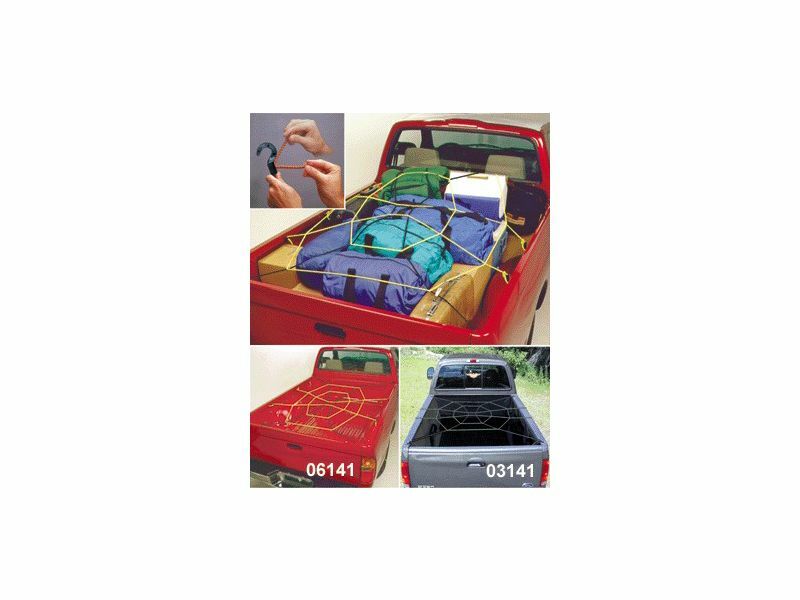 Zip Net fits all pickup truck beds and comes in Yellow & Black or Camo & Black. Keeper Nets all have color coded hooks for quick installation. The ATV nets are available in 2 sizes and come with hooks. All keeper cargo nets are the best around when it comes to securing a load in your truck bed roof rack or small cargo trailer. Keeper warrants the products delivered here with against any defects in workmanship and materials for a period of 30 days following purchase. If found to be defective in workmanship and materials within 30 days of purchase, such product(s) will be repaired or replaced at Keeper's discretion.